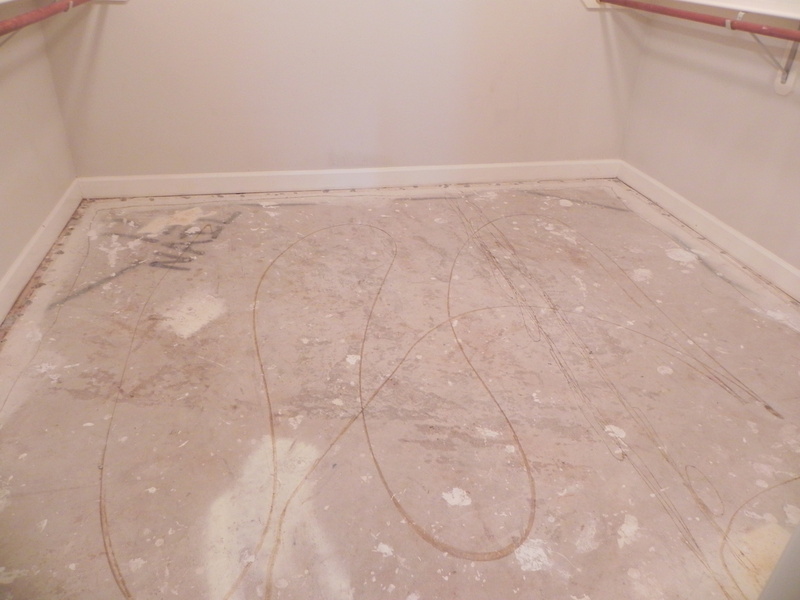 I mentioned in passing in this post that we are in the process of redoing our master closet. (Yikes, that was a month ago and we haven’t made any progress since!) But we do have the carpet out of there! But one positive thing in starting the closet makeover is I had to totally clean it out! And if you remember the pictures from the Under the Staircase Closet , then you know just how much stuff might have been in the master closet! 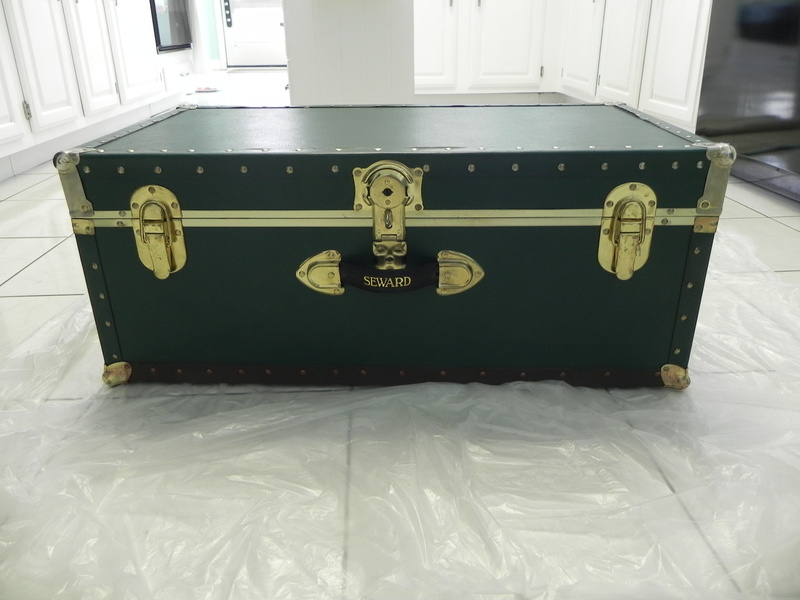 Back in one corner, under a couple of pillows, bags, and purses, was this trunk that I bought at a garage sale several years ago. Not much to look at, but still in decent condition. 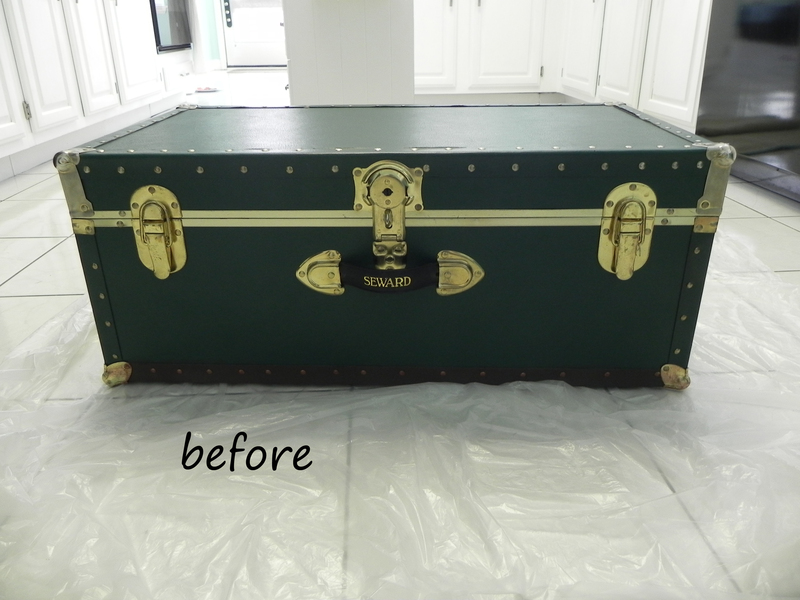 (even after two moves) I was using it and another oversize tub to store pictures and scrapbooks. I was able to sort through the pictures (discarding duplicates), throw out old photo albums from the ’70’s, and just get rid of some stuff! What was left fit into a small storage box that now sits on a shelf in the closet! So that left me with an empty trunk once again. 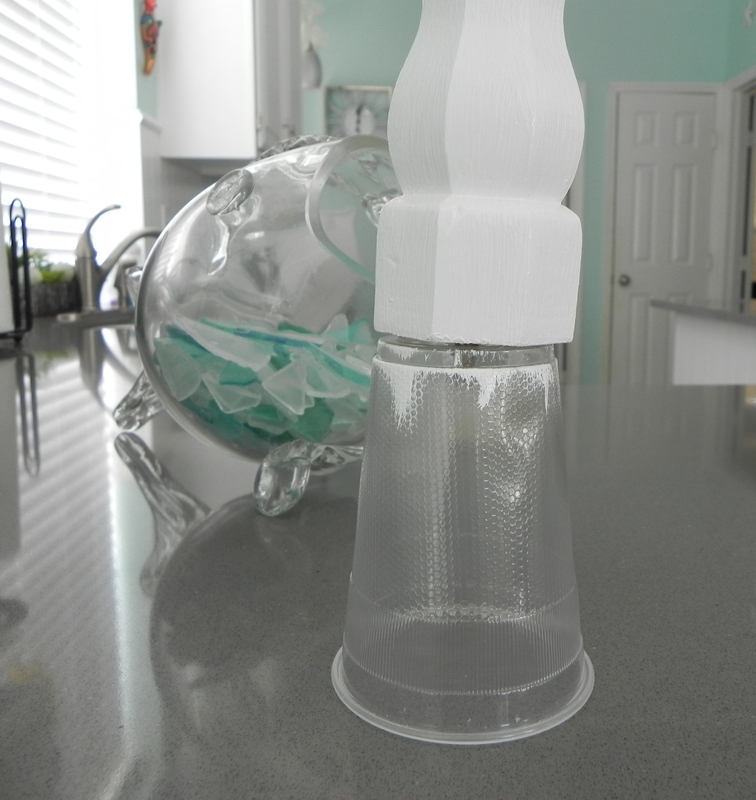 And this is what I did with it. 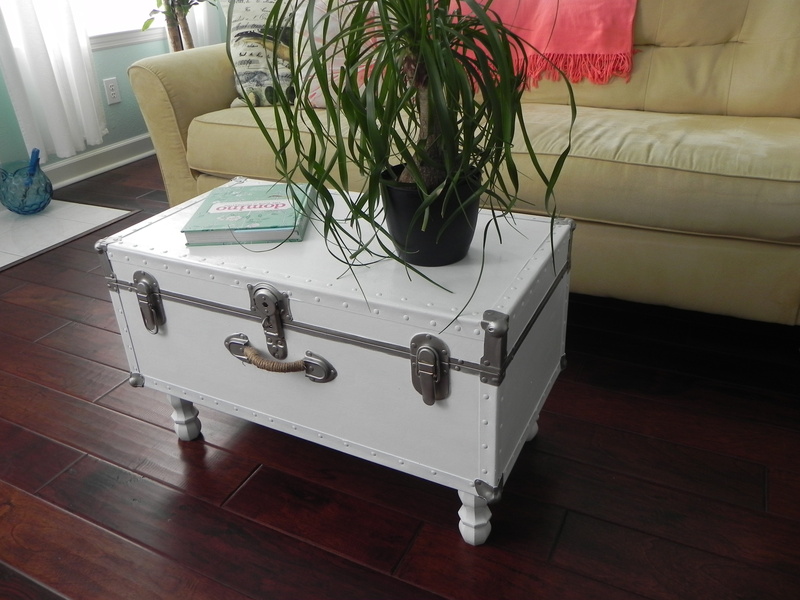 I turned it into a super cute table with storage! It was a pretty simple project. I did the usual primer and paint steps. After it was completely dry, Mr. drilled holes in the bottom and hammered threaded inserts in the inside of the trunk for the legs . 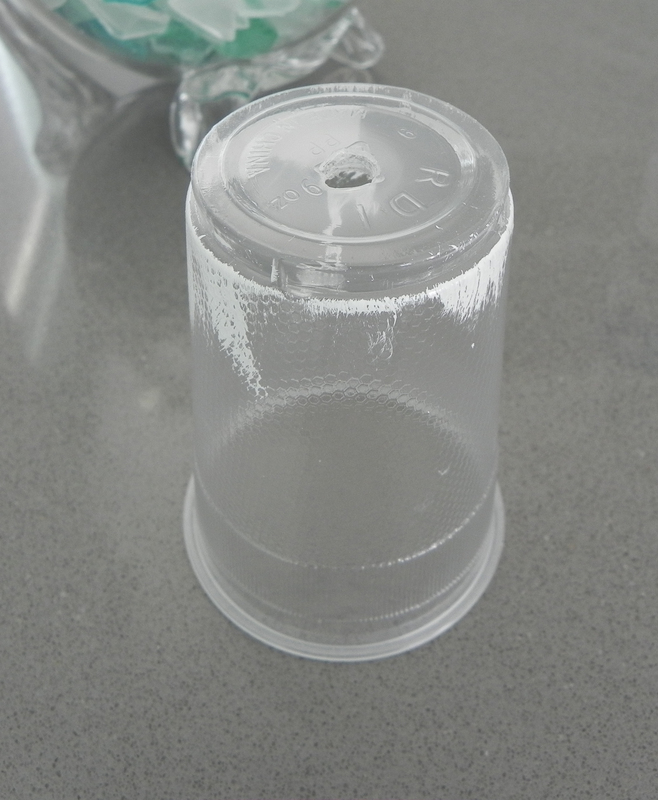 To keep paint from getting all over my hands while painting the legs, I poked holes into the bottom of some cheap plastic cups. 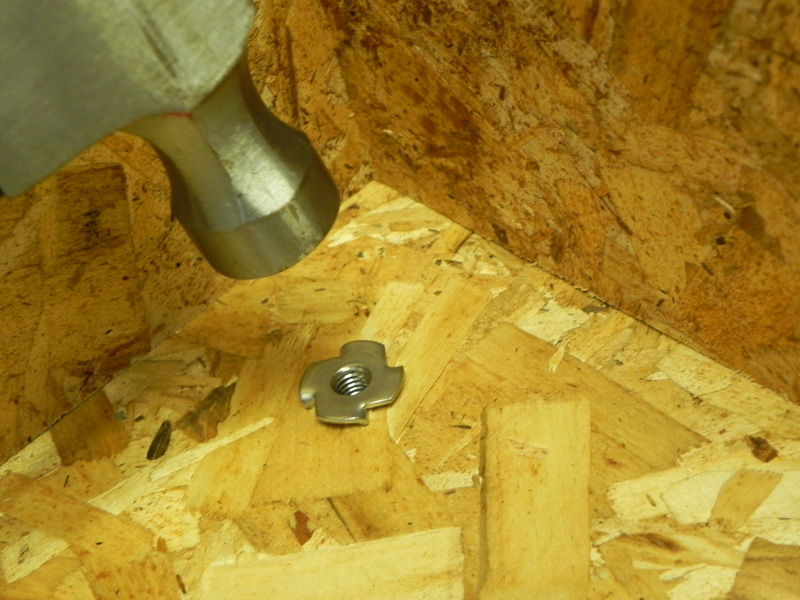 I was then able to screw the legs into the holes and viola…instant “keep paint off my hands leg holder thingy”! 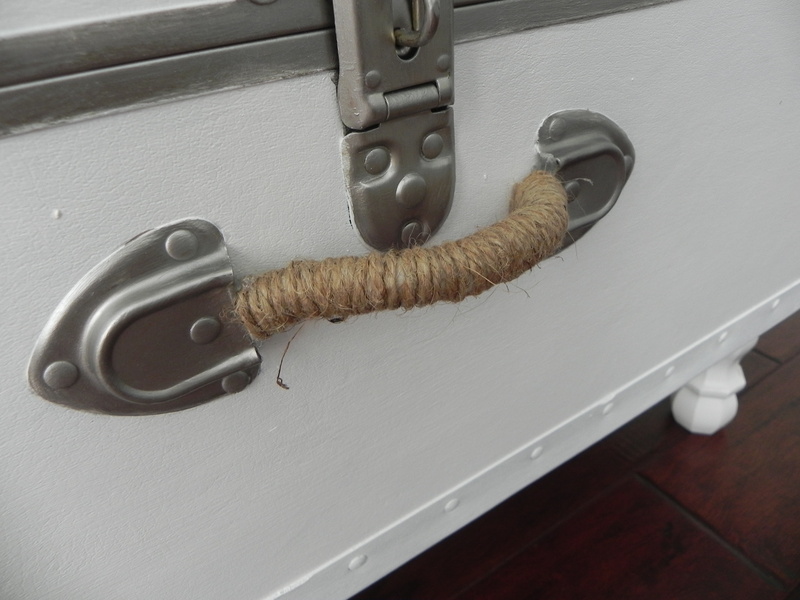 I cut off the old handle, wrapped jute around a piece of cord, and hot glued it in place. I thought this gave it more of a coastal look. 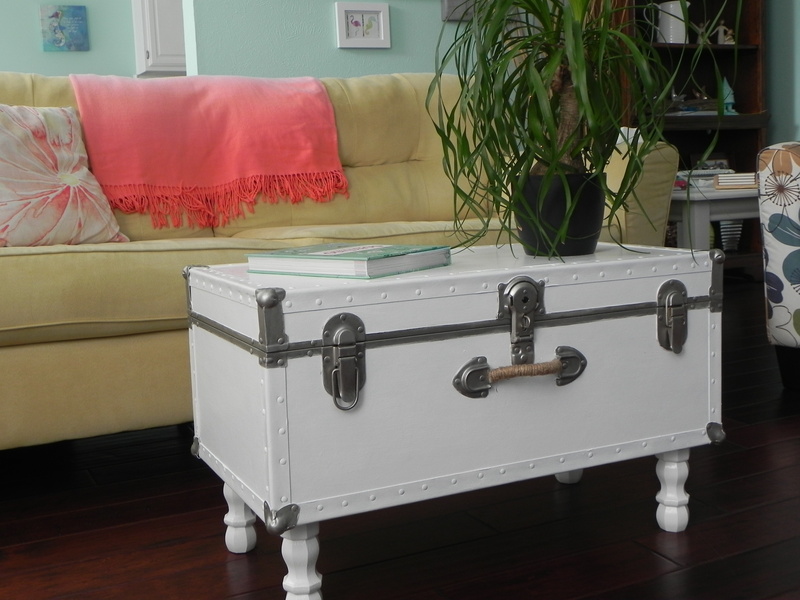 I plan on using it as a coffee table and storing a couple of light throws and maybe the various remotes we have in it. 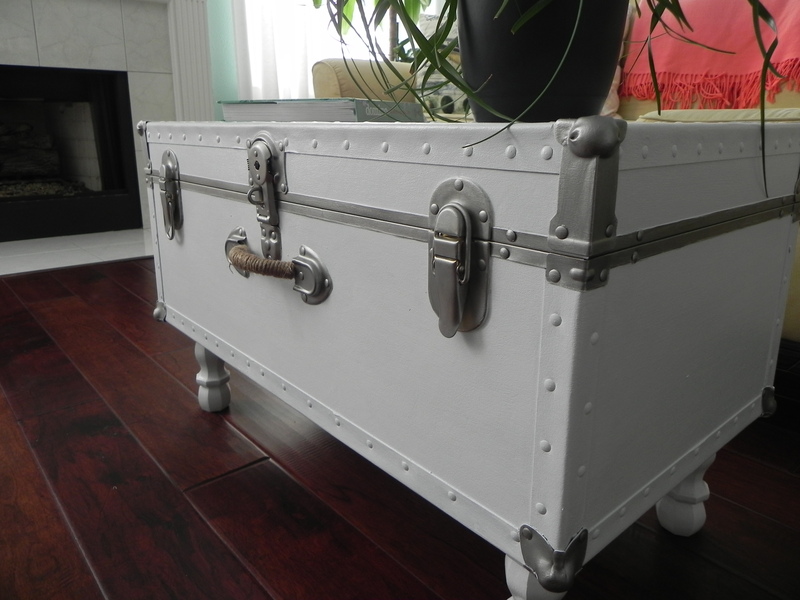 This entry was posted in DIY & Crafts and tagged coffee table, crafts, diy, furniture, home, makeover, nautical, repurposed, storage table, trunk. Bookmark the permalink. Fantastic table!! I especially like how you wrapped the handle with jute!! Cari!! This amazing. I love it. And so easy to do. You are so creative.